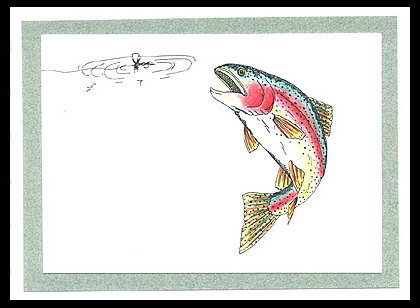 “Rising Trout” and “Fly in the Water” are stamped on white card stock with a black Memories stamp pad and colored with pencils. This is layered on light green and white card stock. Card by Mary Connaway who also drew the images.